We can’t expand the spaces in which we live, but we can choose some pretty amazing space-saving designs that will make our lives much more easier. 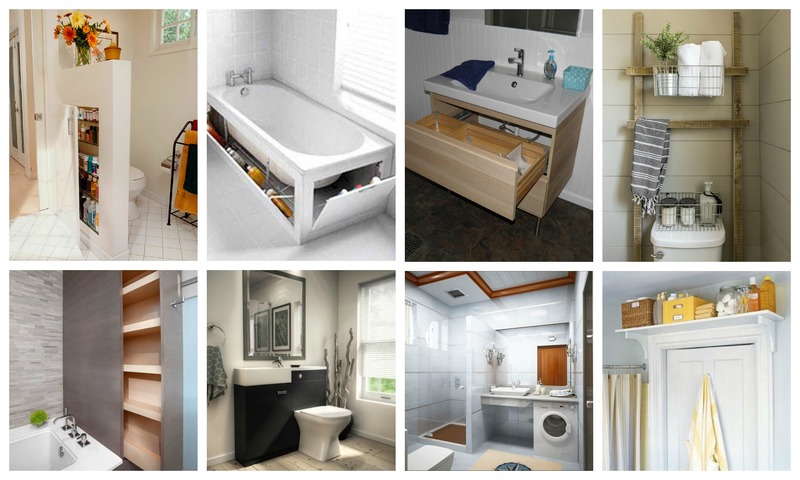 Here I’m going to show you some Fascinating Space-Saving Bathroom Tips That Will Amaze You, so check them all out. You are going to be surprised from all the opportunities that exist out there and you didn’t know about them. 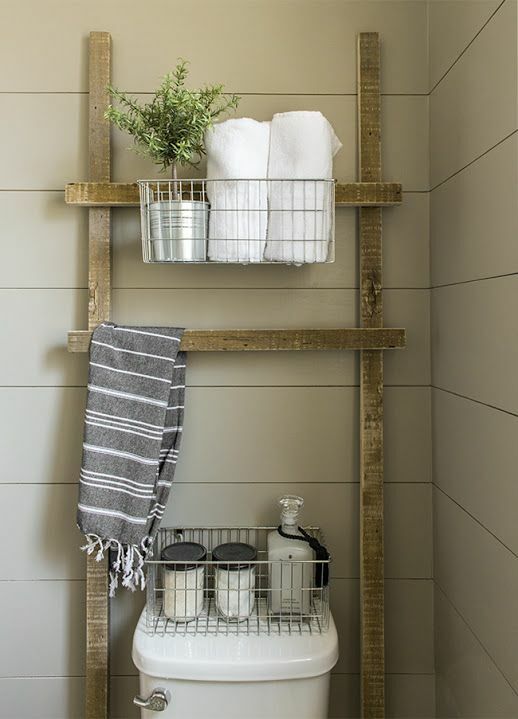 Make use of every inch possible in the bathroom and you will use the space in the best possible ways. 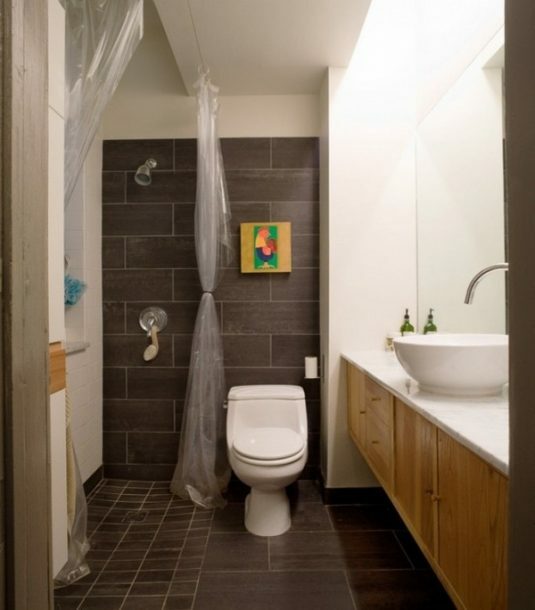 Are you thinking about redecorating your small bathroom? Well, it seems that this is the right time to take a look at the photos below! The space above the door is most of the times forgotten and left useless. If you just insert one shelf up there, you will get plenty of space to store lots of things. If you are short on money and you can’t afford big investments, then this is the perfect idea for you. 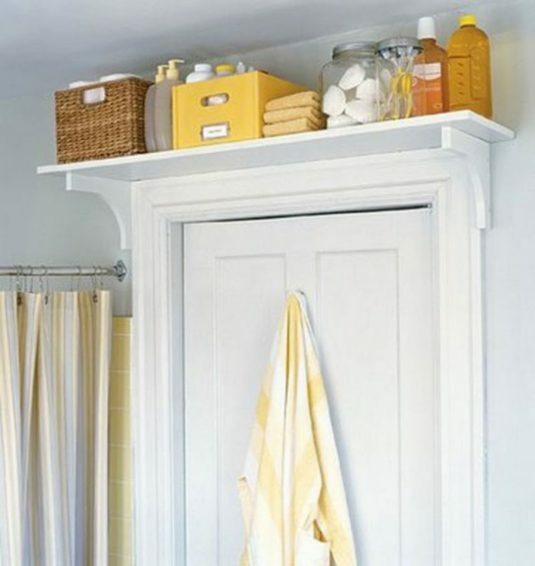 By just adding a ladder behind the toilet seat, you will get space to hang the towels and wire baskets that are great for bathroom storage. 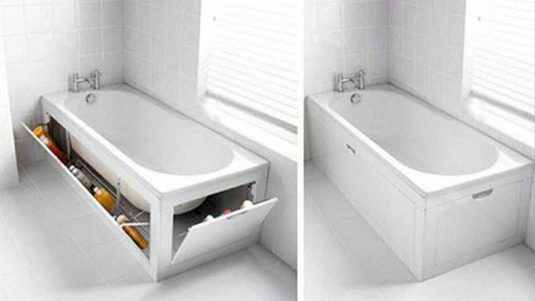 Is there someone who wouldn’t like to have this awesome bathtub which has storage options on both sides of it? 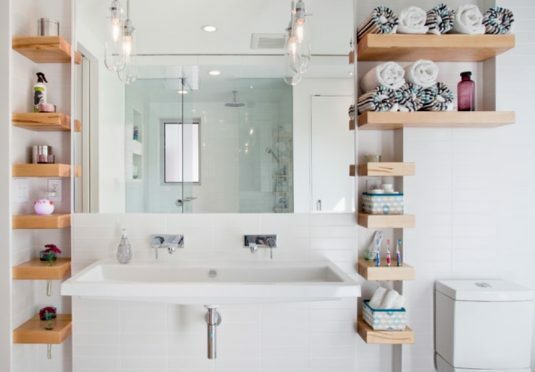 Hide all your beauty products here and make your bathroom look polished! 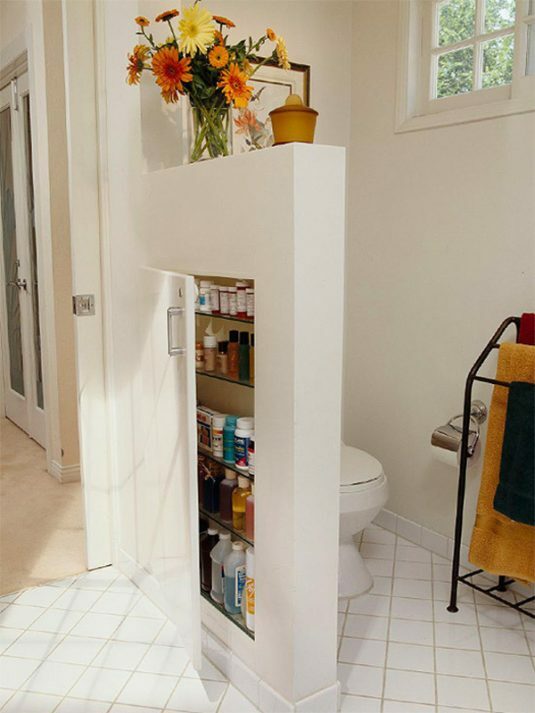 Add a wall to separate the toilet seat from the rest of the bathroom which will at the same time serve you as shelves. 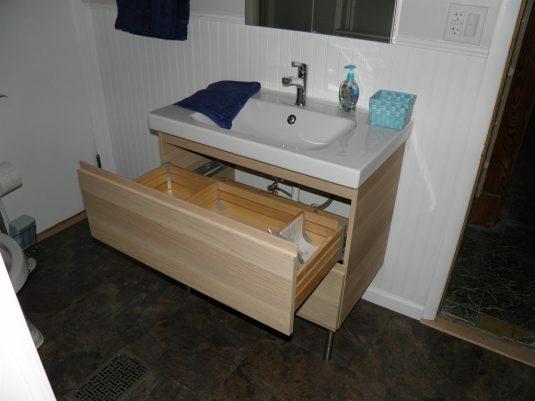 The best way to make use of the sink vanity is to add drawers below it. Here you go once again with extra storage space. It’s a really smart design, isn’t it? Instead of a vanity, you can think about incorporating the washing machine close to the sink. If your bathroom is really small and there’s no place for a bathtub, don’t be desperate. Just add a shower and shower curtains and your job there is done. 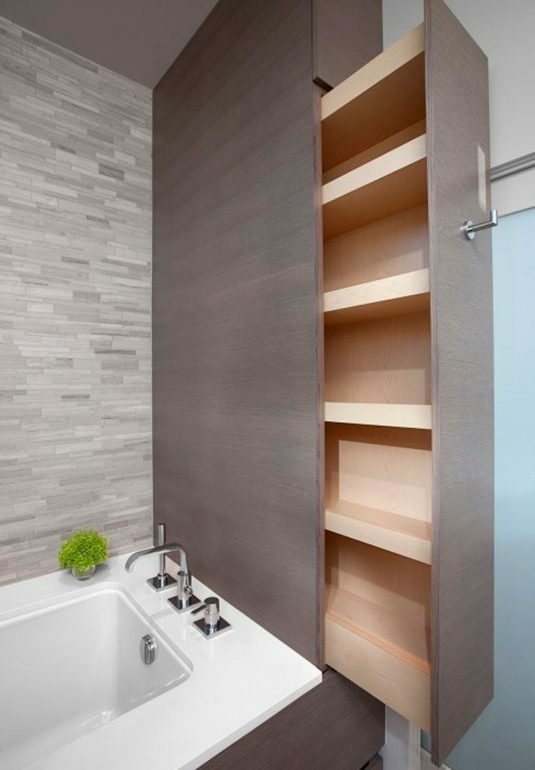 Would you like to have these hidden shelves which will store tons of things in the bathroom? This is a great idea since it uses the space that is left near the bathtub. How do you like the design? 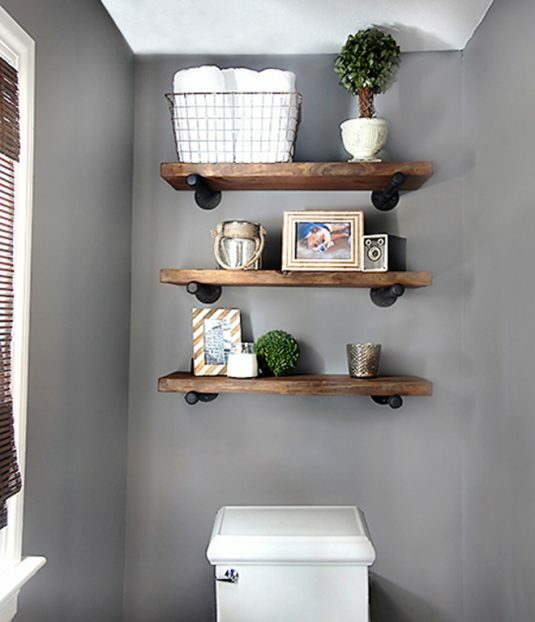 The space on the wall just above the toilet seat is best used when filled with shelves. 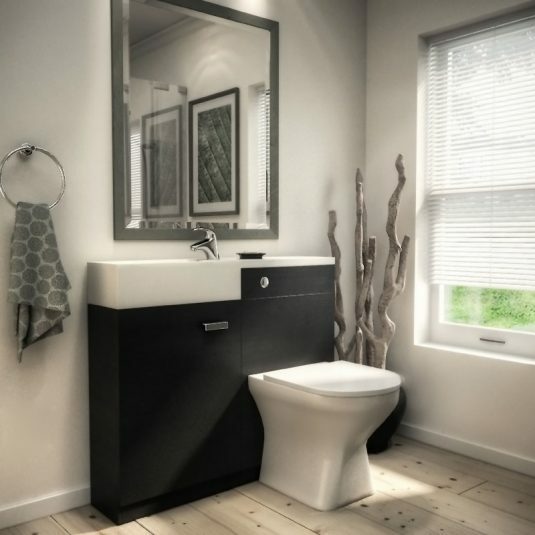 The open storage ideas in the small bathrooms are stunning since you can easily locate what you are looking for. I really like the floating shelves? Would you like to have them in your bathroom? With so many shelves, you won’t need other cabinets! When your bathroom is so small and there’s not enough space for all the elements, the best thing that you can do is to combine two of them in one. You can do so with the toilet seat and the sink! 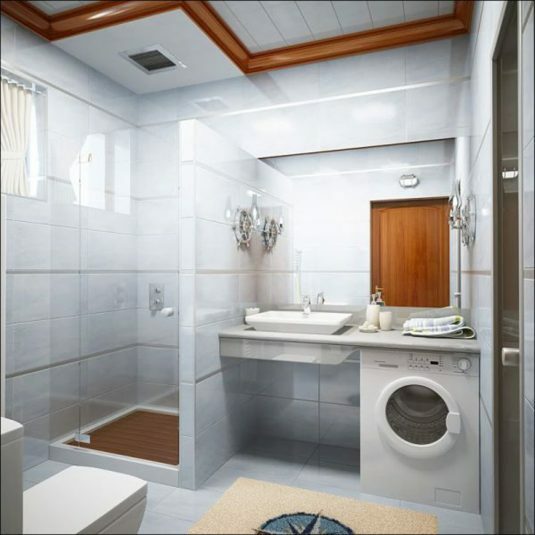 I hope that you found the space-saving design that will work the best for your bathroom!